Only the second person to be named U.S. Equestrian Rider of the Year three times, Elizabeth “Beezie” Madden has spent most of her life around horses. Riding since age 3, she was the first woman to pass the $1 million mark in earnings for show jumping. A seasoned athlete, Madden was part of the gold medal U.S. teams at the 2004 and 2008 Olympics, as well as the silver medal U.S. team at the 2016 Olympics. She claimed the individual bronze medal at the 2008 Olympics. 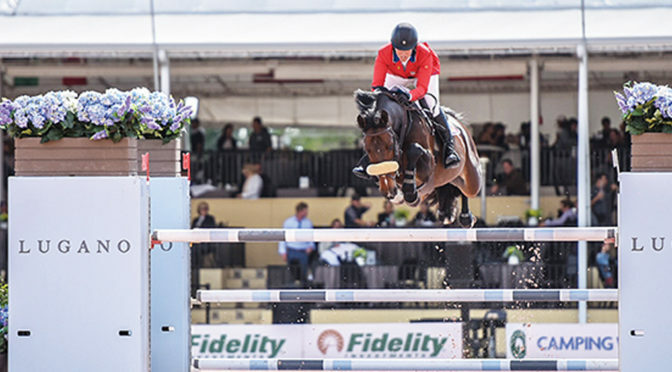 She also medaled at the World Equestrian Games in both 2006 and 2014. In 2014, Madden became the first woman to win the prestigious King George Gold Cup at Hickstead with Cortes C. She also became the first woman and one of only a few riders to achieve back-to-back victories when she repeated the victory with Cortes C in 2015. In April 2013, Madden won the FEI World Cup Finals in Gothenburg, Sweden, aboard Abigail Wexner’s Simon. Madden was only the fifth woman ever to win the FEI World Cup Finals. Madden followed up that win with a repeat in 2018 with Abigail Wexner’s Breitling LS. Still at the top of her game, Madden is currently ranked #9 in the Longines FEI world rankings.